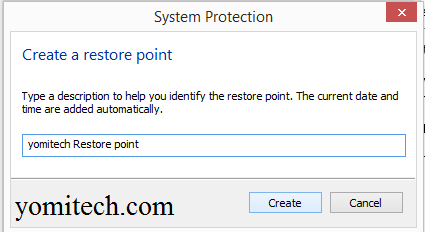 The “restore point” is really a great feature on windows as it helps you restore your pc to the last time you created a restore point anytime there is an error. 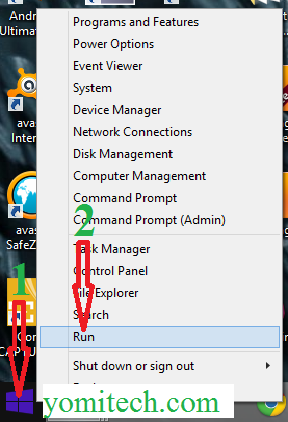 Though this feature has been available on windows since windows me but on windows 8 and later versions of windows this feature has been replaced with refresh. Though I still think the restore point feature is more preferable to the refresh option. Unlike the refresh option which reverts your pc to the last restore point, refresh pc takes away all your apps except the ones you downloaded from windows store. 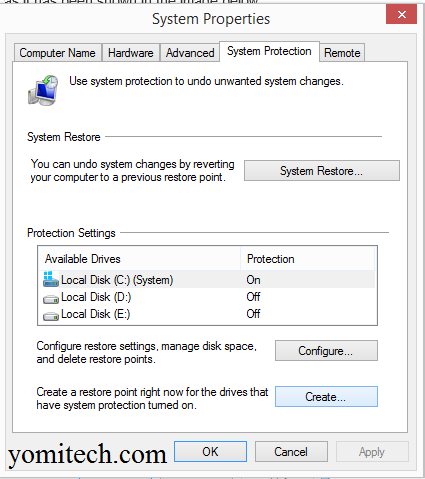 Today I will be showing you detailed steps on how to use the restore point feature on windows 8 and later version of windows. >>> Right click on the start button and select run. Type “sysdm.cpl” in the box and click on the “OK” button. In the next pop up window which is your “system properties” click on the system protection tab. 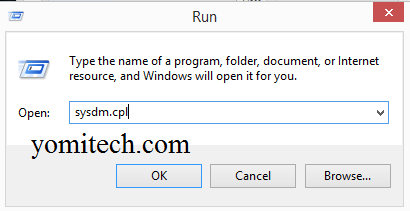 Click on the Create button as shown in the image below. Choose a name for your restore point and click on create. Just wait for a couple of minutes while the restore point is been created. After the restore point has been created you will receive a message like the one below. Just click on close. 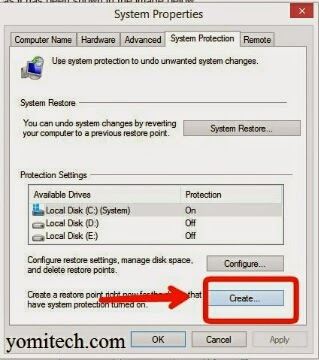 Now you have just successfully created a restore point manually and you can always revert you pc to your latest restore point anytime you feel like.